Focus in Pix can drill pages with 5/8-inch holes for standard-size binders. This option is available on single cut pages only. 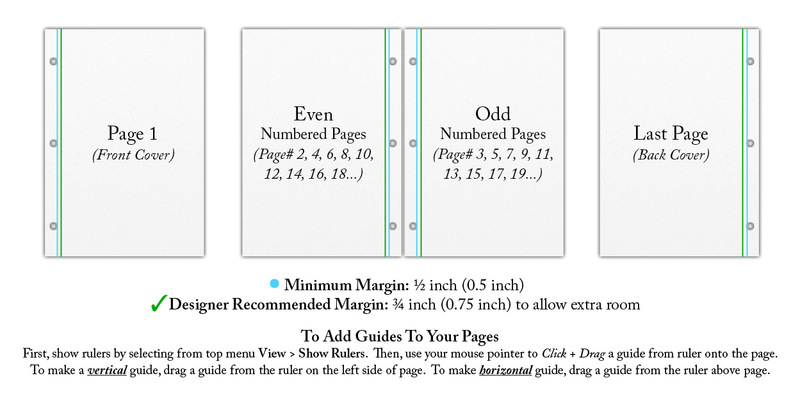 If you plan to order this option, be sure to design your pages to allow at least 1/2 inch to 3/4 inch margin on the binding side of each page so that text and/or critical elements do not get punched into. We currently offer 3-hole drilling on booklets. If you can’t find 3-hole drilling as an option during checkout, please give us a call at 952-891-8707 or email us at production@focusinpix.com so we can assist you.